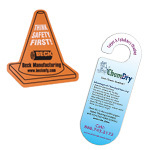 Demand Attention the attention using Promotional Mailers We offer thin mailers, magnets and our unique promo mailers. Just think of Garrett Specialties when you want to send something eye-catching. Attract your customer's attention with a creative advertising promo in the mail. 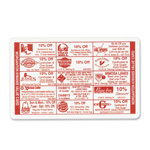 Imprint your company logo on our promotional products, your source for logo items and giveaways. 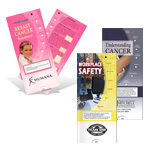 Browse through our catalog and view our direct mail ideas. Just sending an advertisement is a sure way to go in the round can. 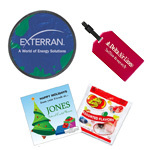 By using our creative direct mailers that have a promotional item inside will intrigue your customer. Direct mail ideas will surely generate a response and will engage your client. Imprint your logo or message and stimulate some business. Using direct mailers is another effective way to spark the attention of your customers. Sending out a creative direct mailer will grab of the attention of what you are trying to promote. Here are some of our direct mail ideas. Offer a free gift, send a mailer that will create interest, and personalization is very important when doing direct mail campaigns. Direct-mail advertising is highly measurable, according to the U.S. Postal Service. At the end of the day we all have to take into consideration the budget that is allocated for advertising. Printed advertising items are cost effective giving a return on your investment being typical higher than than personalized campaigns as you have a larger target market. Everyone likes a free gift and your customers will open something that they can tell was sent directly to them. 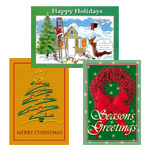 Use brochures, hanging door hangers, bumper stickers, posters, post cards, holiday cards imprinted with your logo or message. We can also create a logo for you if you do not have what you need.